Bagamoyo was another major slave trading post in East Africa. Bagamoyo, which literally means "Lay down your heart" in Swahili, was probably given this name because it was the last place where the slaves stayed in Tanzania before they were taken to foreign lands. 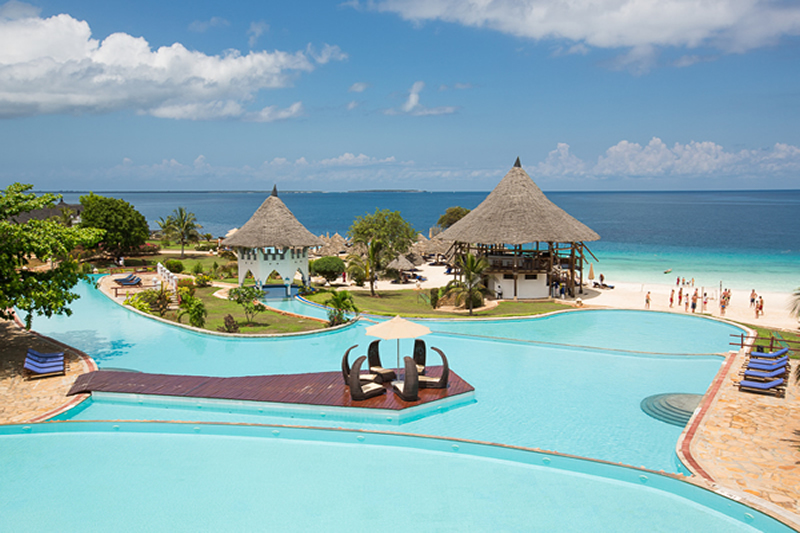 The town is 80 km north of Dar-Es-Salaam. 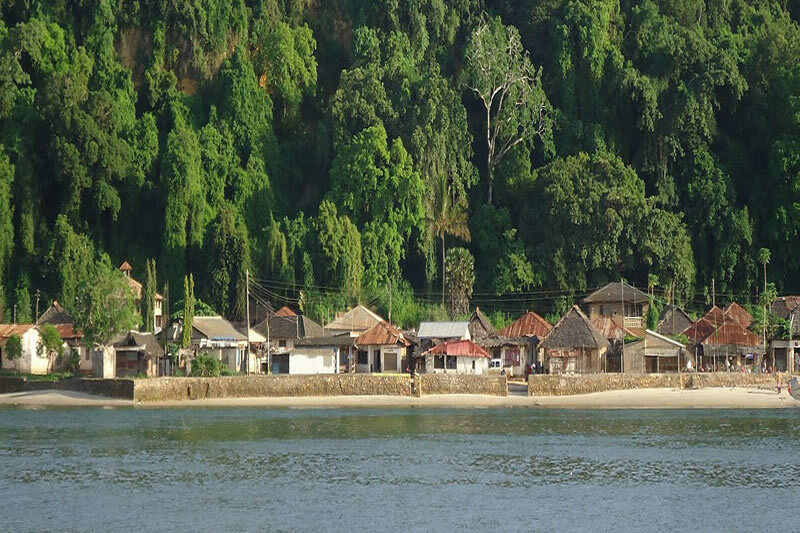 Bagamoyo is not a busy port anymore, but rather a touring place where one can go for holidays and stay in a quiet Resort Hotel, moving around the town, enjoy the white sand beach and listen to the history of old Bagamoyo town from historians and non-historians. Bagamoyo Art College: The College accommodates students from all over the world who come and learn the African culture. Traditional Tanzanian sculpture, carving and painting are some of the things to be explored in this historical place. If interested, and you should, arrangement for traditional dance at the college during the tour will be made. 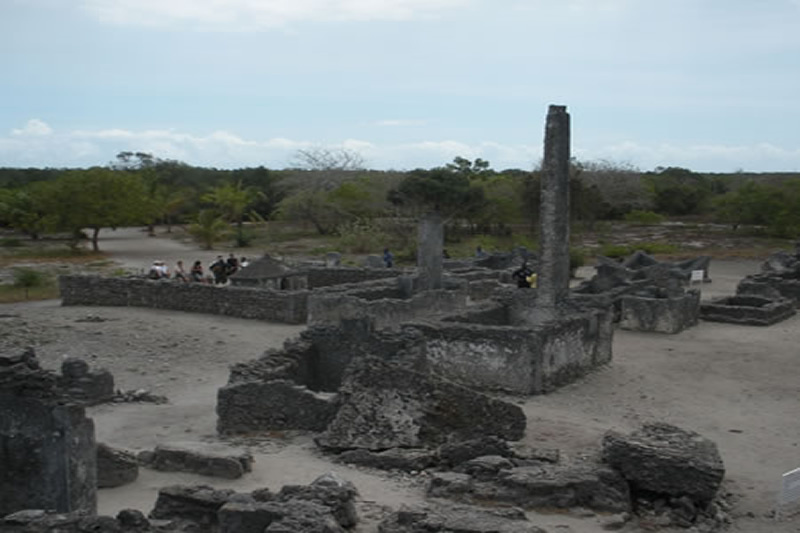 Bagamoyo cultural heritage - The Kaole Ruins: Arabs were the first explorers to arrive in Bagamoyo in the thirteenth century followed by Germans. In southern Bagamoyo at Kaole, Arabs built two Mosques. This Place is now known as KAOLE RUINS. The two old mosques and several tombs remain to be a symbol of Islam religion. All the architectures in Kaole are built in Coral stone. Bagamoyo cultural heritage - The Hanging Place: It was in this site the Germans executed Africans who rebelled against their government in the late eighteenth century. Most Africans who were hanged attempted to overthrow the German rule. During German colonial rule, Bagamoyo was the capital town of Tanzania before it was changed by British after World War II. Our competent tour guides will take you and show you many attractive sites but we ardently advise you to see The Roman Catholic Mission: It was built in the late eighteenth century by Germans with the purpose to spread Christianity. The Roman Catholic Mission is the oldest Roman Catholic Church in East and Central Africa. The remains of Dr. Livingstone, (the old famous missionary to Africa) were preserved in this Church before the burial ceremony which took place in England in 1874. In addition, students studying history, anthropology, culture, traditional music and others visit Bagamoyo for study tours.